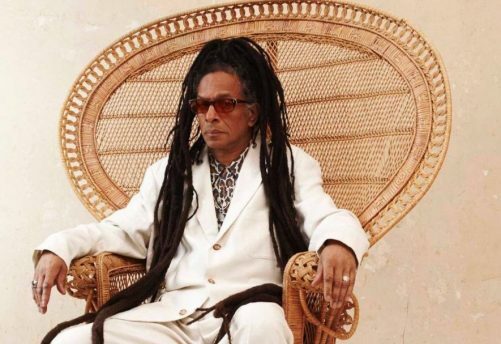 As a lifelong devotee of Jamaican music, significant influencer of British music culture and active filmmaker, broadcaster and DJ – it’s quite right that Don Letts has become a trusted authority on the development of music in Britain. His taste runs the gamut, which reflects in the breadth of music you can expect to hear at Carnival Sound next month: reggae, jungle, soul, hip-hop and disco all finding its way into his unique, floor-filling mix. Aside from club DJ’ing, Letts works closely with the BBC, providing insight into the late seventies musical movement that his style, knowledge and camera work influenced and documented. Last week, the Rebel Dread featured in the second instalment of the Guitar, Drums & Bass documentary, explaining the importance of bass within Sound System culture and sharing personal experiences of dances in London’s subterranean shebeens, where sounds were temporarily installed. He referenced his father’s sound system during the documentary: Duke Letts Superstonic sound, explaining how bass was much more than just low end frequency, but a characteristic that bound people and movements around the world. His contributions begin at the 38 minute mark and you can check them out here. In addition to sound system culture, Letts’ path has been guided by great cinema, such as the Jamaican film The Harder They Come. He began his recent Reggae Movie Roll Call podcast with a dedication to the film and its soundtrack, which you can check out below. Letts said about the film in a recent interview: “I was struck by its power to inspire, inform and entertain”, citing it as a key influence upon his decision to eventually pick up a Super 8 camera and ‘reinvent himself’ as Don Letts: the filmmaker. Looking ahead, Letts will present a program about the life of Peter Tosh for BBC Radio 4 in April, entitled Arise Black Man: The Peter Tosh Story. The documentary will explore how the Rastafarian artist’s campaigning for civil rights and marijuana legalisation fed into the difficulties he faced in his professional and personal life. Don Letts’ Carnival Sound club night returns to Band on the Wall on 8th February, with the renowned Twinkle Brothers playing live. Find out more and pick up tickets here.